Welcome to my MelioGuide Health Guides series. You can use these to navigate through the variety of resources and information posted on this website. Each of the individual health guides is focused on a specific health topic. I have tried to make each guide as comprehensive as possible and have provided links to each of the blog posts related to that topic and identified other resources such as free online courses and books that I have published. Many readers wonder what exercises they should do if they have osteoporosis. They also need to know what exercises they need to avoid or modify. The Osteoporosis Guidelines address these questions and more. The Guidelines cover nutrition, supplements, pharmaceuticals and hormones. 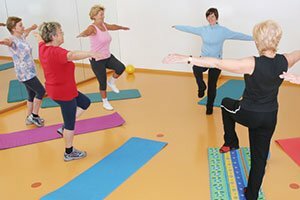 There is a section dedicated to exercise equipment you can use if you have osteoporosis. It even covers bone health and special populations. You will gain a deep understanding of your bones and what is happening to them. 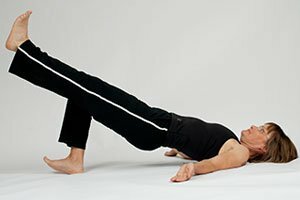 Core exercises and strength go beyond abdominals. Core training incorporates the diaphragm, pelvic floor, and the muscles of the spine, the hips, and the shoulder. The Plank and Side Plank poses are the perfect prescription to build your core strength. In this health guide dedicated to Core Exercises, you will learn how to strengthen your core. The guide has videos of different core exercises plus detailed educational tutorials on core strength and why core strength matters. Read the Core Exercises Guide. Balance exercises should be critical part of your health program. Good balance keeps you active and mobile as you age because you are more confident about avoiding a fall. In this health guide dedicated to Balance Exercises, you will learn how to improve your balance and information on fall prevention. There are even several video demonstrations of different balance exercises you can do. Read the Balance Exercises for Seniors Guide. Perfect posture is the foundation of all exercise and movement. A perfect posture will pay dividends throughout your life. This guide is dedicated to helping you achieve that perfect posture. In this health guide dedicated to Perfect Posture, you will learn how to improve your posture. There are even several video demonstrations of different posture exercises you can do. Read the Perfect Posture Guide. Every client I work with needs help with their activities of daily living to make them safer for their bone health. This guide is dedicated to sharing that knowledge with you. In this health guide dedicated to Activities of Daily Living and Moving Safely, you will learn how to modify your daily activities so that they are safe for your bones. You will learn how to move safely and with confidence. Read the Activities of Daily Living Guide. As we age, we need to do things that protect our joints. This guide to healthy joints has been prepared to help you protect your joints. This guide covers important tips that keep your joints safe. Despite strength training, and a lot of people know that strength training is important for keeping their joints protected, there’s a lot of people that strength train without regard to their joints, especially long term. We cover this in this guide. Some people seem to age well. is it genes or something that they do? 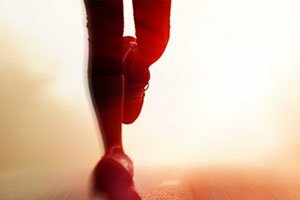 What is the secret to being fit past fifty and aging well? This guide presents some of those secrets. 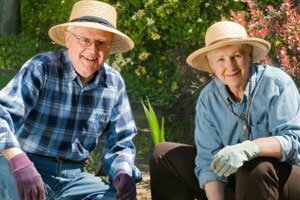 This guide really is all about how to age well, how to continue those years with good quality of life. The guide really starts putting together important things, such as, what are the motivators to keep us going despite being retired? What are some of the key tips that keep us going? Read the Ageing Well Guide. Sleep is a critical part of your overall health. This guide is dedicated to showing you how to get a better sleep through better support and alignment. There are a number of videos illustrating different sleep positions that will help you sleep well and allow you to rest completely without compromising your body. Read the Better Sleep Guide. I hope you find this Health Guides series comprehensive, educational and useful. And please signup for my regular newsletter so that you keep posted on my new articles. 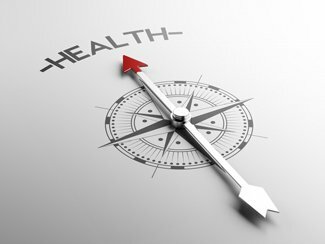 I regularly publish articles on health topics that matter to my clients and my readers. I started this blog several years ago for my clients. They had many questions related to their health — even after their treatment sessions— and wanted regular access to up-to-date health information that they could use in their day-to-day lives. Today there are over 300 blog posts (and growing), three books on Amazon, and almost 400 videos on my YouTube channel. Almost 700,000 people have viewed my videos on safe and effective osteoporosis guidelines, core strength, activities of daily living, and many more health topics! That’s a lot of information for people to wade through and finding information on the site can be a challenge. And this is why I have created these health guides so that you can navigate through the site and find the topic of most interest to you. Today, you can find almost anything you want to know about health on the internet. I am not sure if all of it is very good and I probably would be careful with some of the recommendations. I try to be careful about generalizing my recommendations since every person has different health needs based on their personal health challenges. As a result, I stay close to evidence-based recommendations and encourage individuals to consult a skilled health professional for their personal needs.